For the last month or so we’ve been getting an Oddbox, which is a fortnightly delivery of surplus fruit and veg. As it is surplus food you don’t necessarily get the same stuff each week. I really like this element of the boxes as it means I’m trying something new and different with each delivery. Well not necessarily new, more likely veggies that I’m not massively keen on or haven’t really cooked before. It’s most definitely been fun to give new recipes and foods a try over the last few weeks. 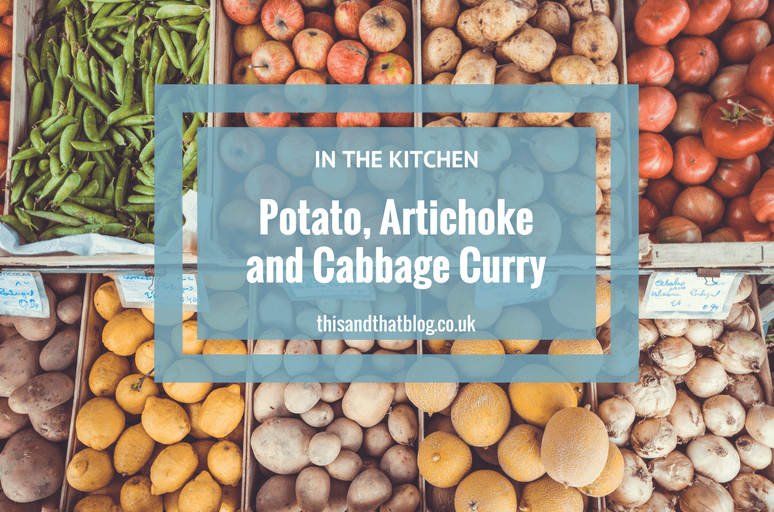 And that’s what I’m sharing today, one of my recent new recipe finds – a potato, artichoke and cabbage curry. One of our recent boxes had these two unusual, to me anyway, ingredients in it. I’ve obviously had cabbage before but only at my parents or in restaurants, I’ve never cooked it and don’t know what to do with it, other than it being a side to a main meal. As for artichoke hearts, I’ve never had then. At least not that I can recall anyway. Until they arrived, I didn’t even know what they looked like! Anyway after a bit of research, we settled on this potato, artichoke and cabbage curry. And spoiler, it was delicious! It was also super easy and was perfect as leftovers for lunch the next day. Always, an essential thing to consider when it comes to meals, am I right?! 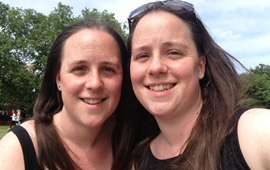 So if you’re intrigued, read on and get cooking your own delicious veggie curry. You won’t regret it, of that I’m sure! Slice the onions and fry in oil until soft / dry roast the cardamon, cloves and coriander until fragrant, then grind up with the chilli / add all the spices, plus the garlic, to the onion / add the cabbage, artichoke and potato pieces and coat with the onion and spices / add the tomatoes, coconut milk and enough water to cover the cabbage / simmer on low heat for an hour / serve with rice, naan bread and mango chutney / enjoy!